This jar will go far! 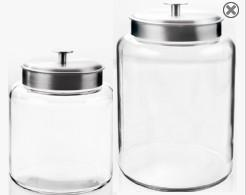 This 1.5 Gallon Montana Glass Jar w/Aluminum Lid can be used to take your business to a new level. Display your candies, snacks, nuts, and other product items in these canisters with lids. 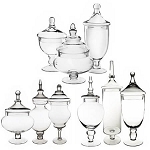 The glass containers can be used to exhibit displays on a shelf or countertop, the choice is yours. These containers with lids are versatile and durable for whatever your use may be. 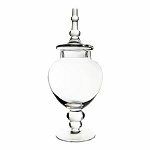 The candy jars can be displayed to coordinate with your store colors or other specialty products. This brushed metal lid with canister gives your place of business a more sophisticated look. 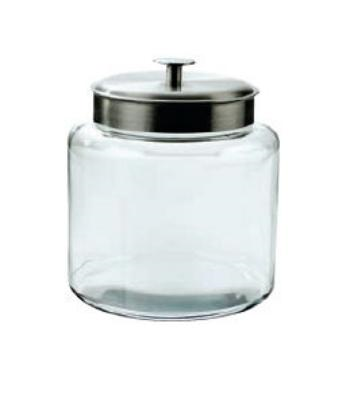 Check out this 1.5 gallon glass jar with aluminum lid and purchase your order today!